← A Better Bathroom: Let’s Make some Decisions! 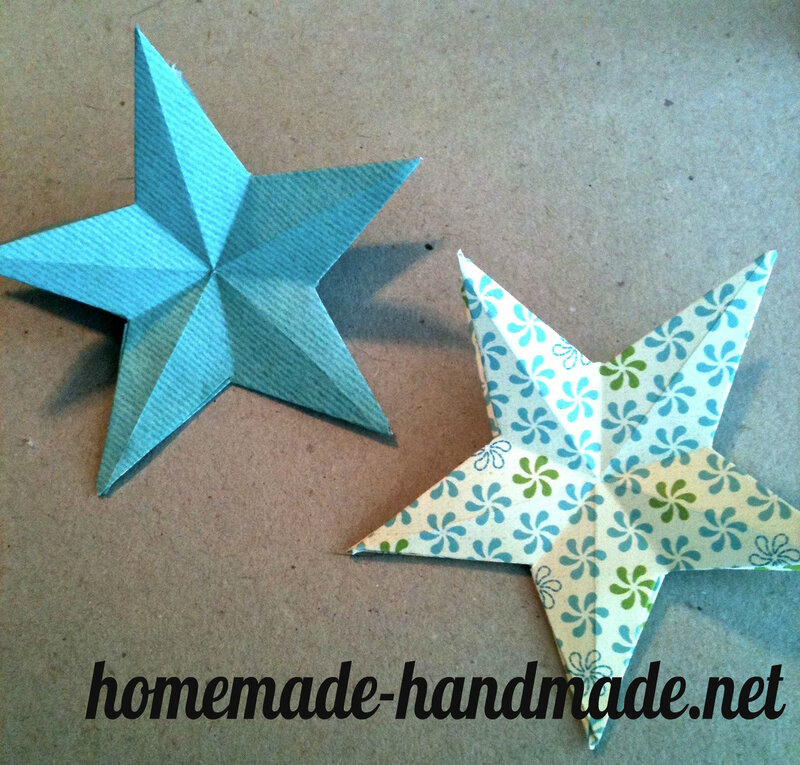 Paper stars were one of the first, if not the first, craft project Mary and I ever did together. 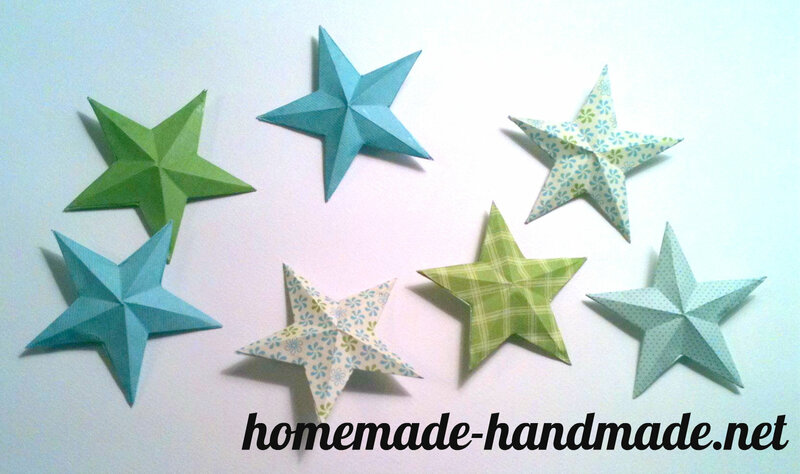 We originally made a bunch as a birthday present for a friend who was decorating her room with a starry night theme. (Apparently when someone tells me I probably can’t do something, like make 3D stars out of paper, I feel inclined to prove them wrong.) They were a huge hit. Then we made a bunch for our room. Then, when we moved, we hung them from the ceiling of our office. 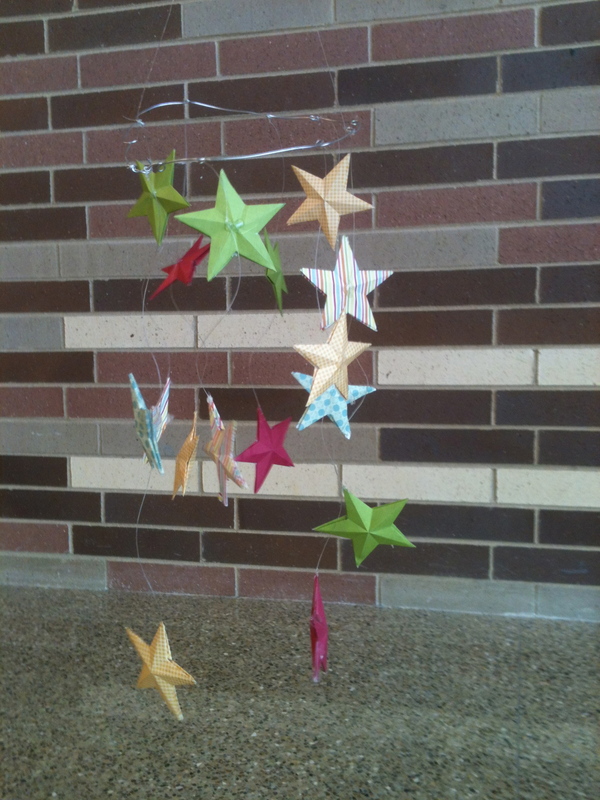 So when we were trying to think of something good for our blog masthead, paper stars seemed like a logical choice. 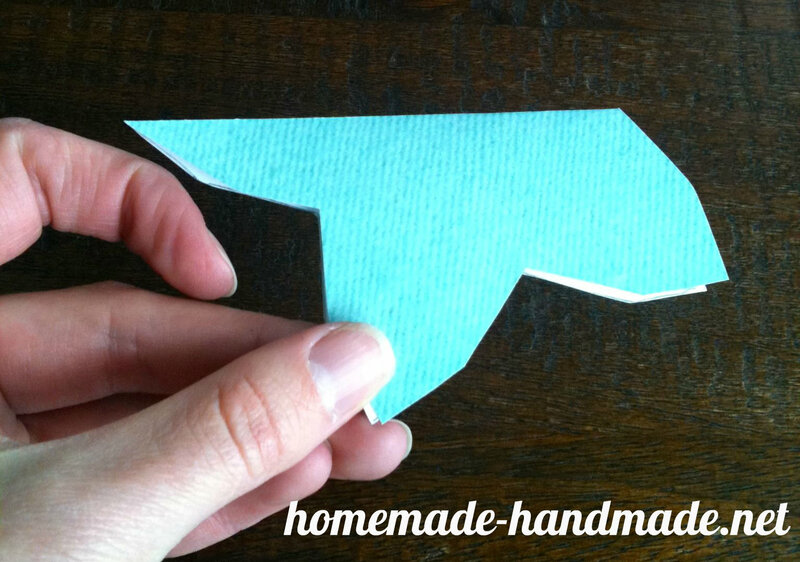 And now you can learn to make your very own! Now, making the template takes longer than making any of the stars. And the first one or two might be rough, as you are learning to make even folds and match up edges and get the glue to hold while not flattening the whole thing. But! Once you make the first few, they are actually pretty fast and addictive. 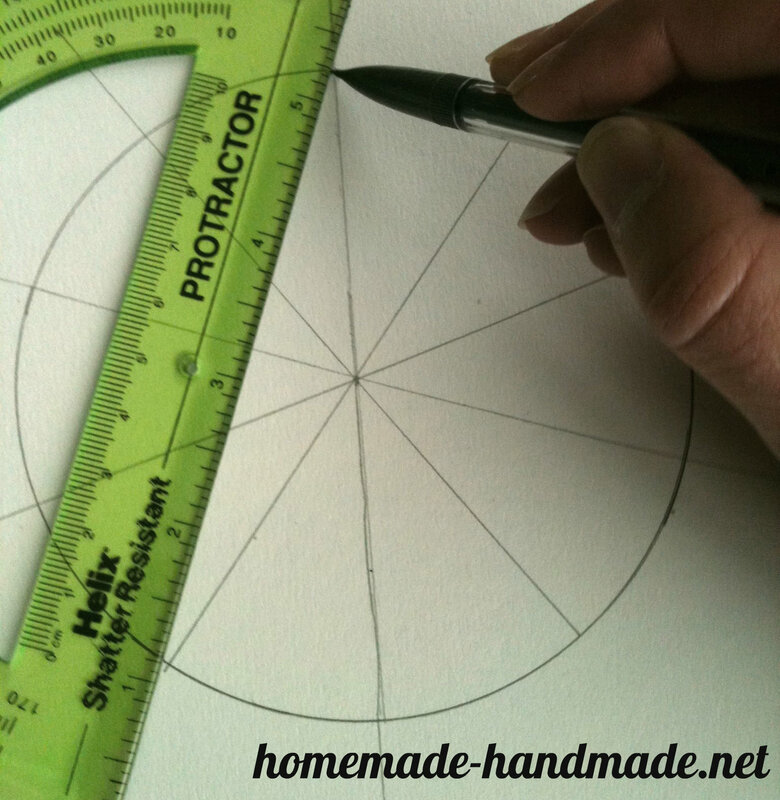 Trace a circle onto the template paper using the inner edge of your compass. 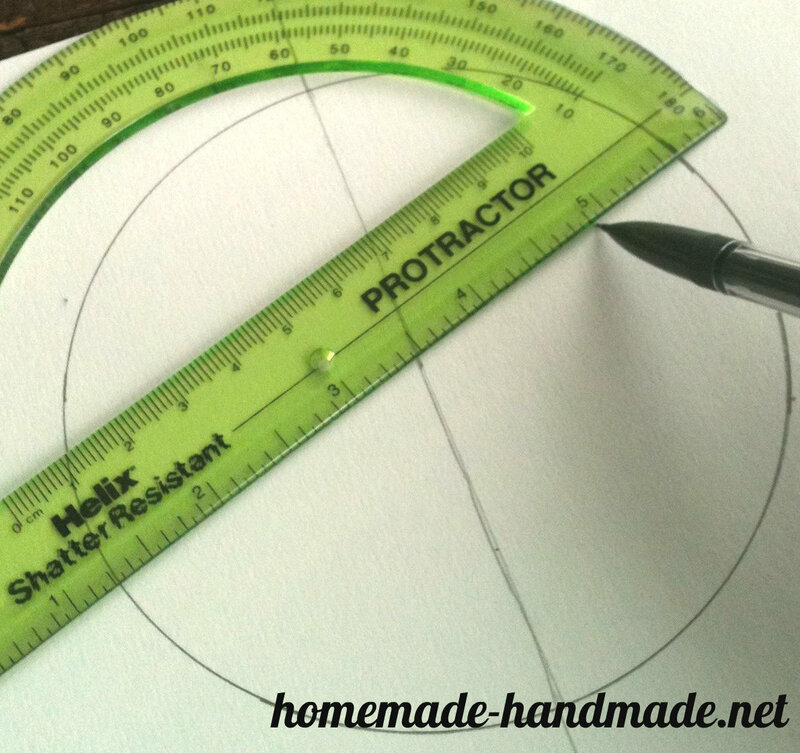 Making sure your protractor stays centered, mark a point on the circle 72° from the marked line. 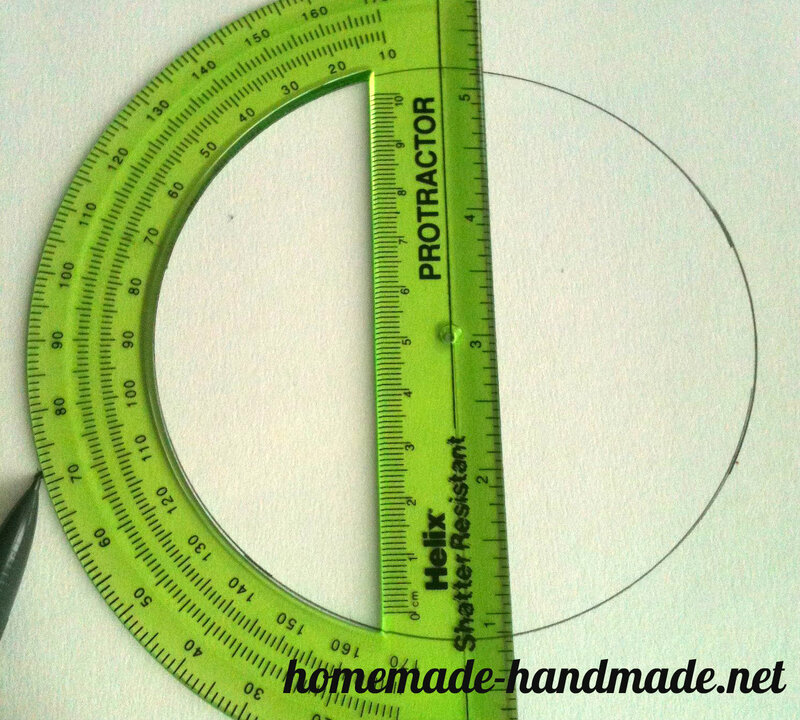 Draw a line through that point and the center point to the other side of the circle. 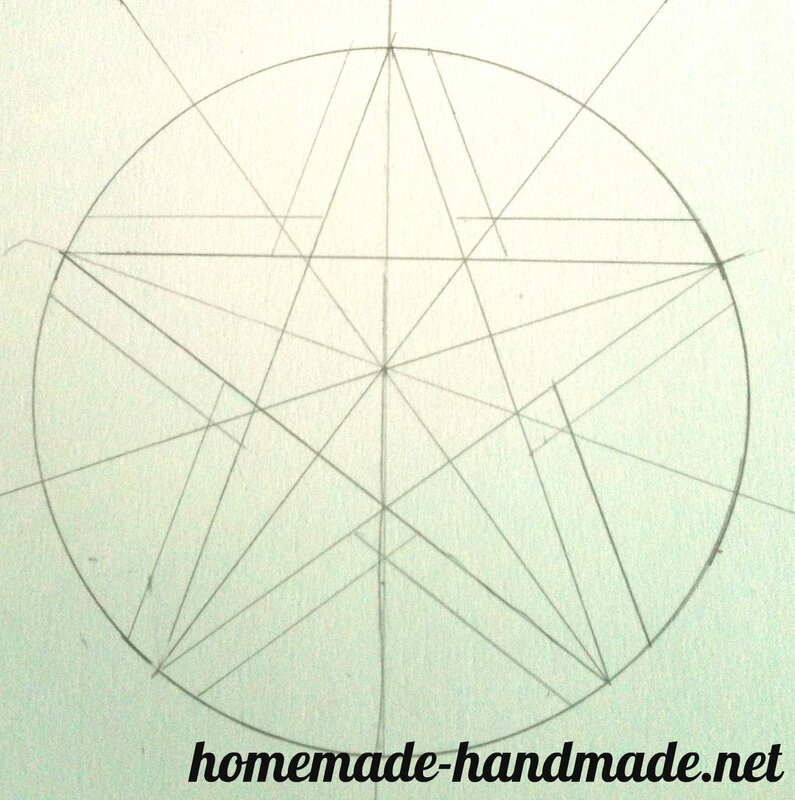 Start at the top point, skip three lines around the edge, and line up your straight edge between the top point and the fourth point. Draw a line between the points. 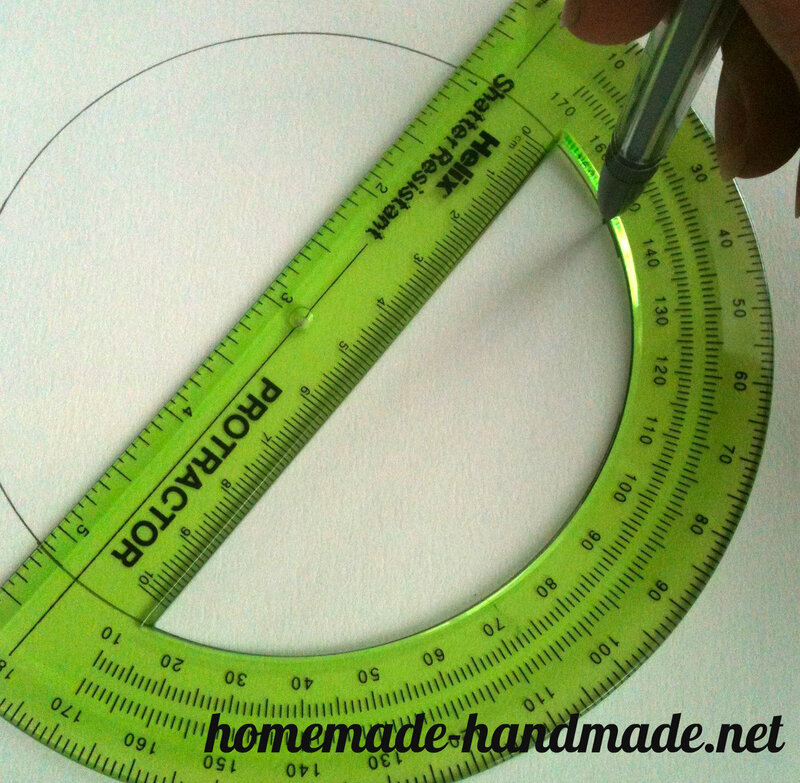 Skip the next three lines and use your straight edge to draw a line between the fourth point and where you left off. Repeat until you have a five-point star. 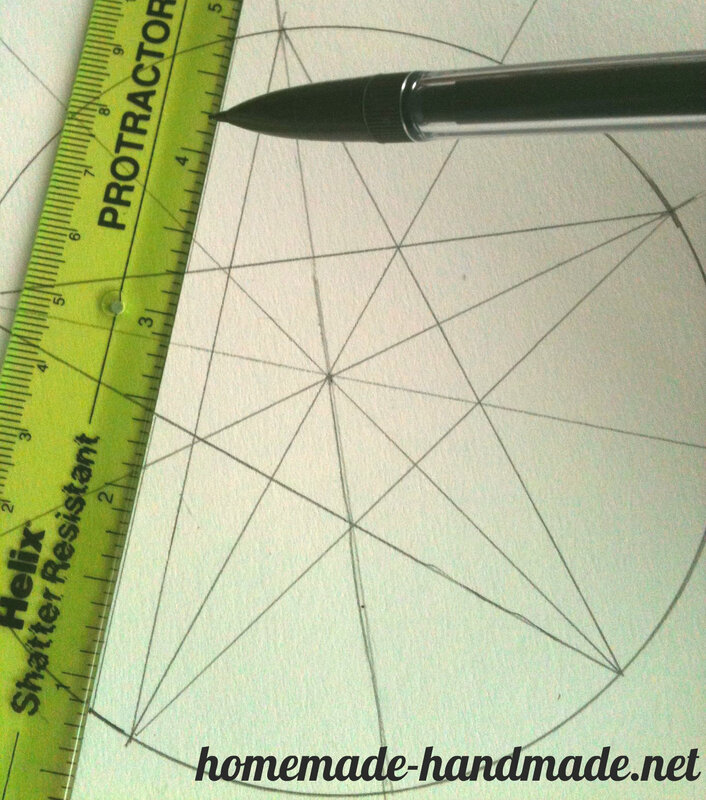 Move your straight edge about 3 or 4 mm from one of the star’s sides and draw a parallel line, skipping the inside of the star itself. 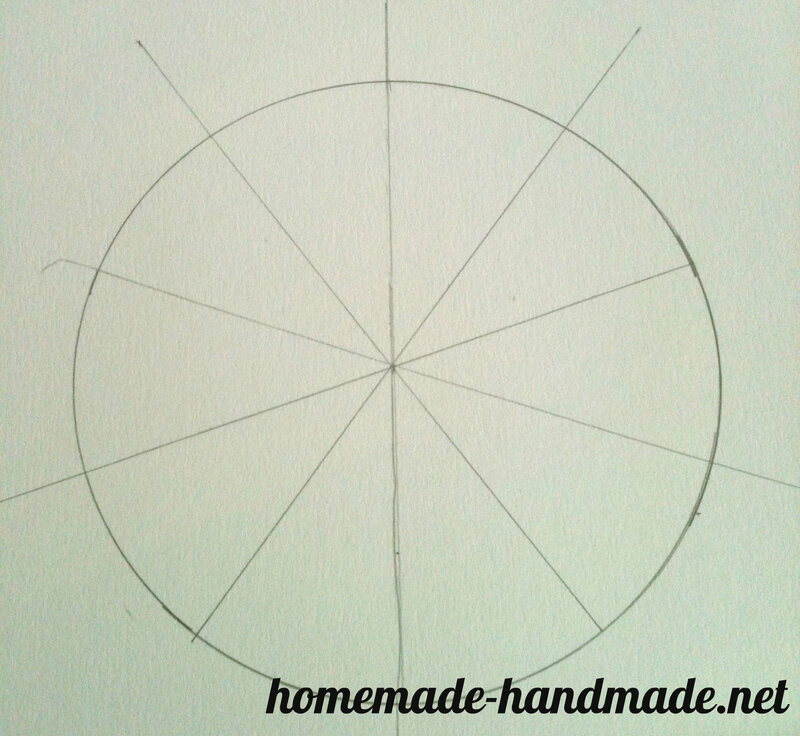 Repeat until you’ve created a second set of lines around each point (these lines are used for the flaps). 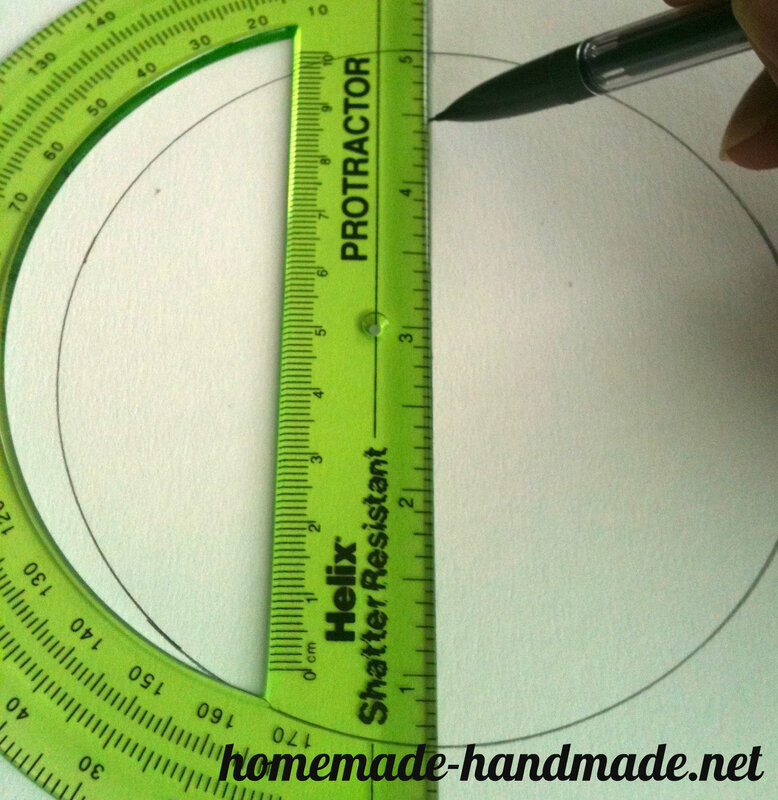 Use your straight edge to mark a gradual taper at each point between the outside lines and the point. 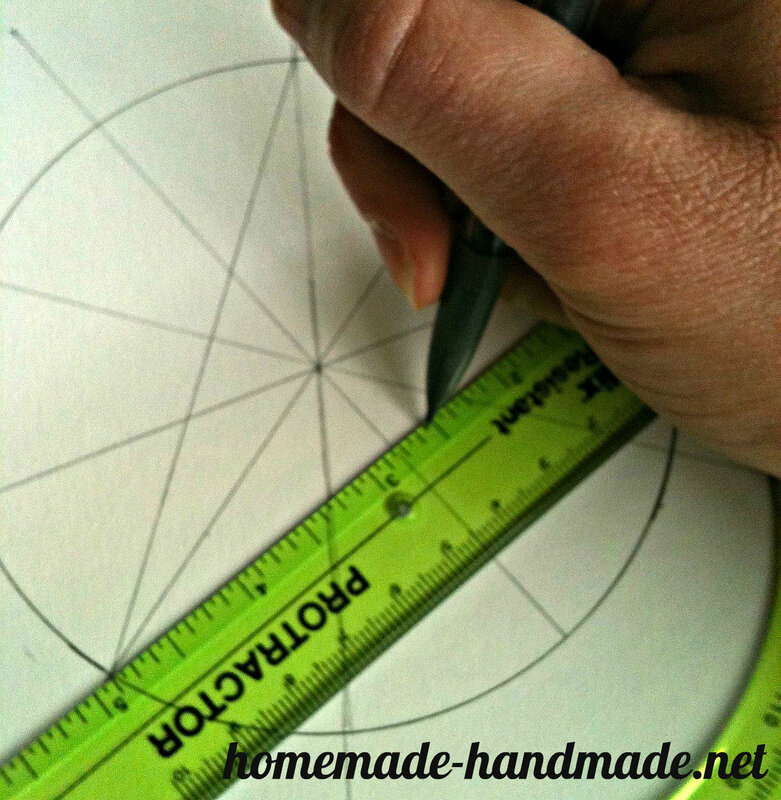 Cut out your template, following the outside lines and the tapered points. 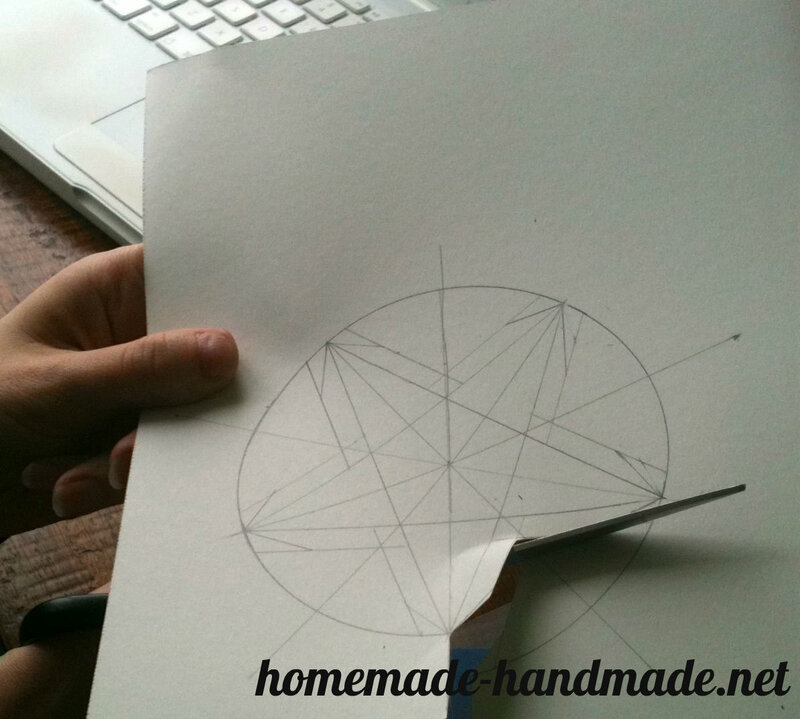 Trace the template onto the back of your decorative paper. Repeat to trace a second star. 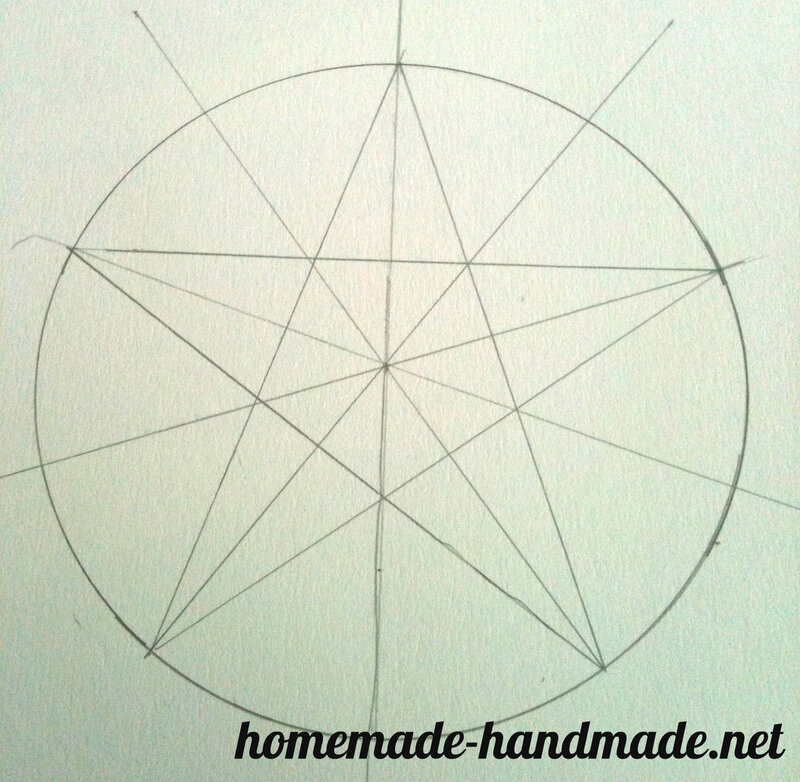 Fold the star in half from an outer point to the inner point directly across from it. Unfold. 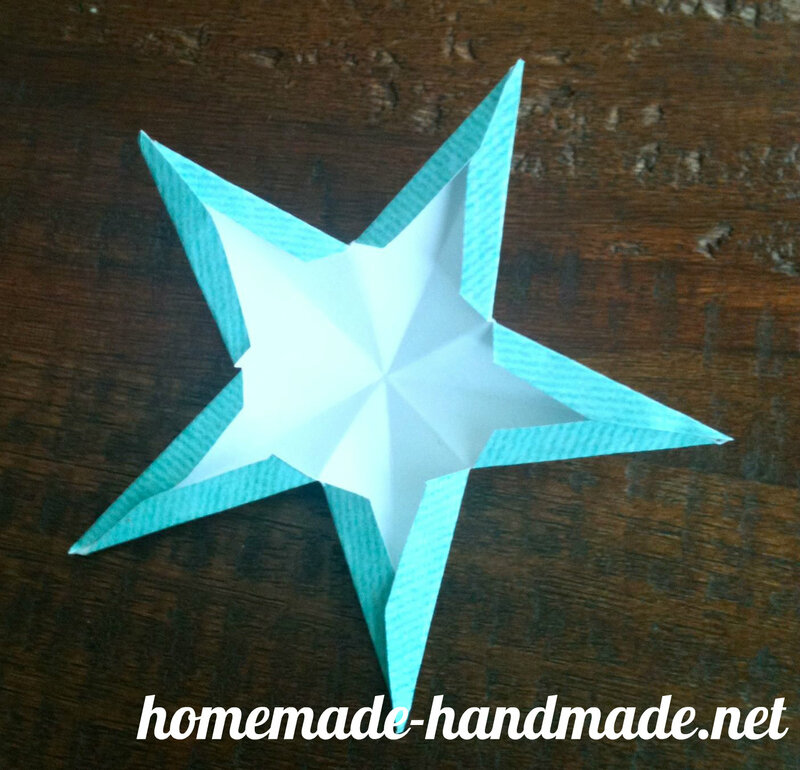 Turn the star, and fold in half at the next point. 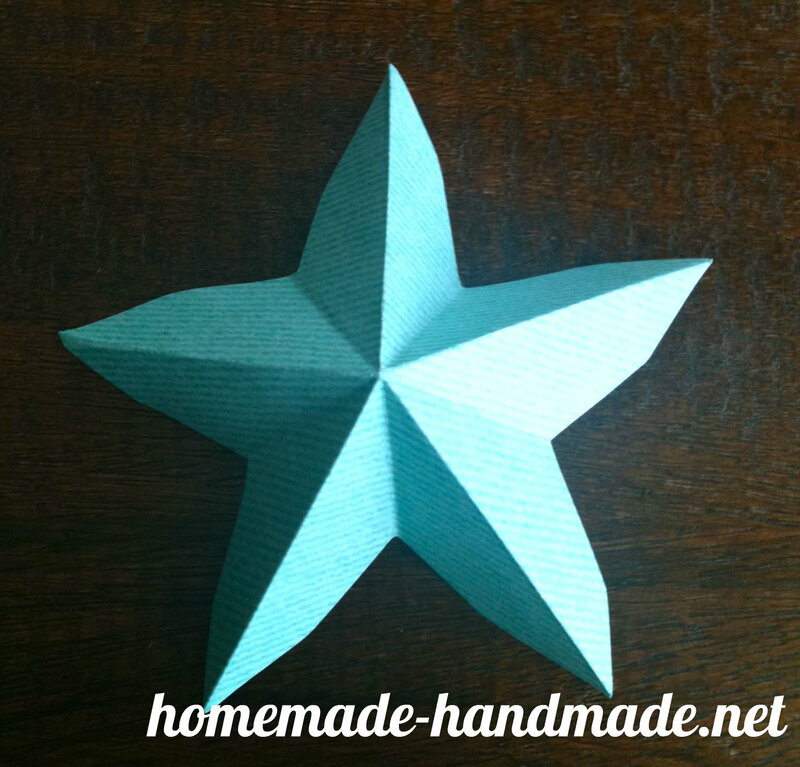 Repeat until the star has been folded in half at every point. 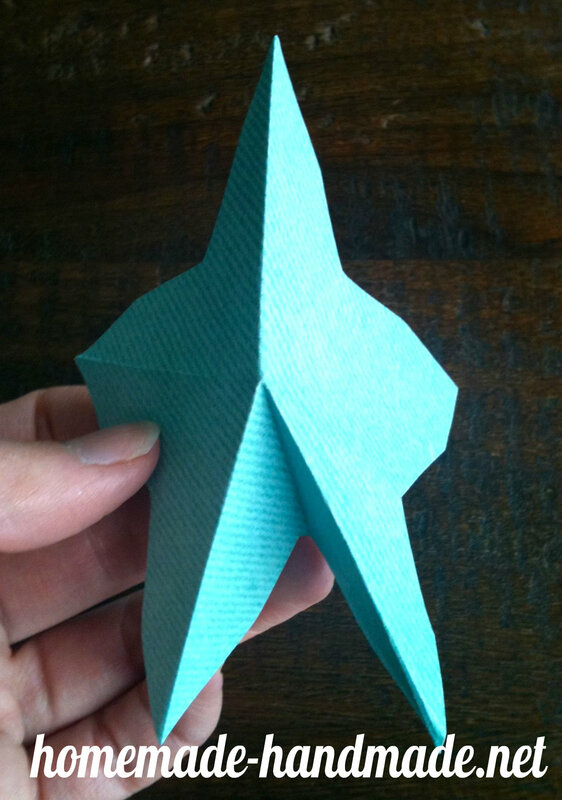 Gently fold the star, tucking the inside point down and folding the two “legs” on either side together. Repeat around, so that every inside point folds in, and every outside point folds out. Now you’ll need to cut a small notch on every inside point to make the folding flaps. Look at your template to see how large this flap needs to be—it’s the distance from the outside of the template to the inner point on the inside set of lines. Cut the notches on all inside points. 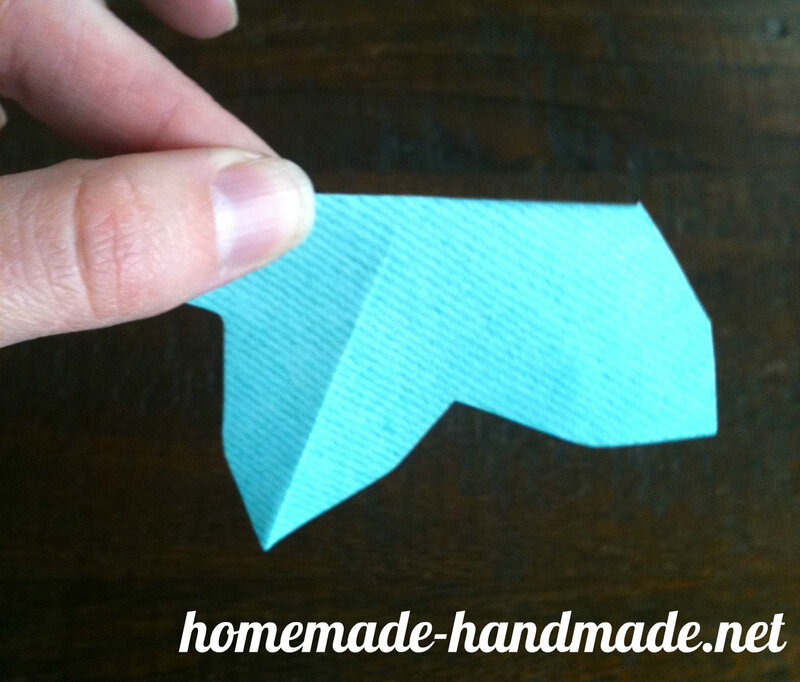 Fold each flap in from the notch to the tip of the outside point. 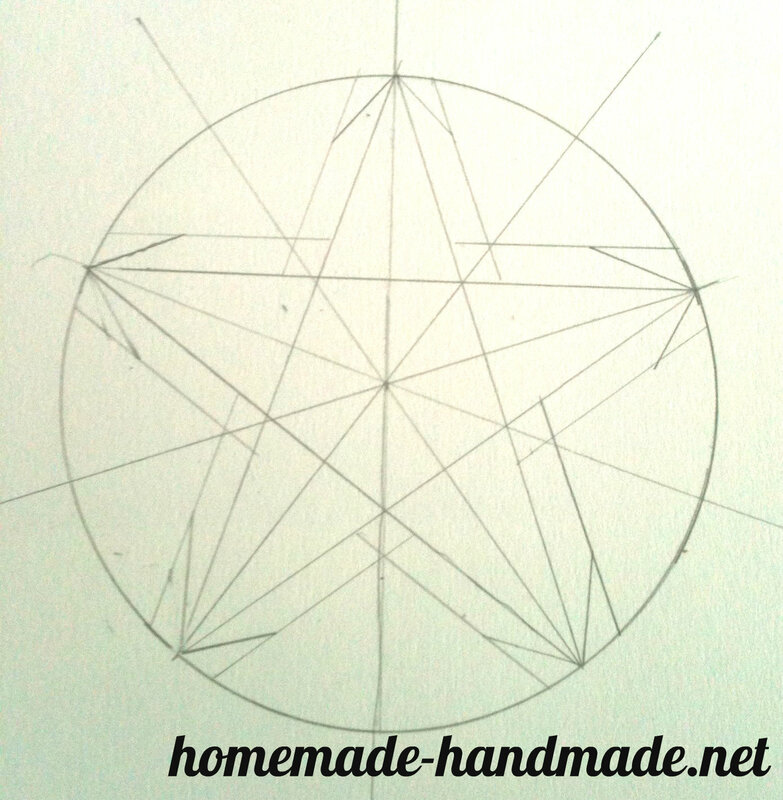 Repeat with the other star, and figure out which points best match each other when they are help inside-to-inside. Place glue on the flaps of two adjacent points, and firmly press the two star halves together along the glue line. It doesn’t matter if you flatten the stars at this point. 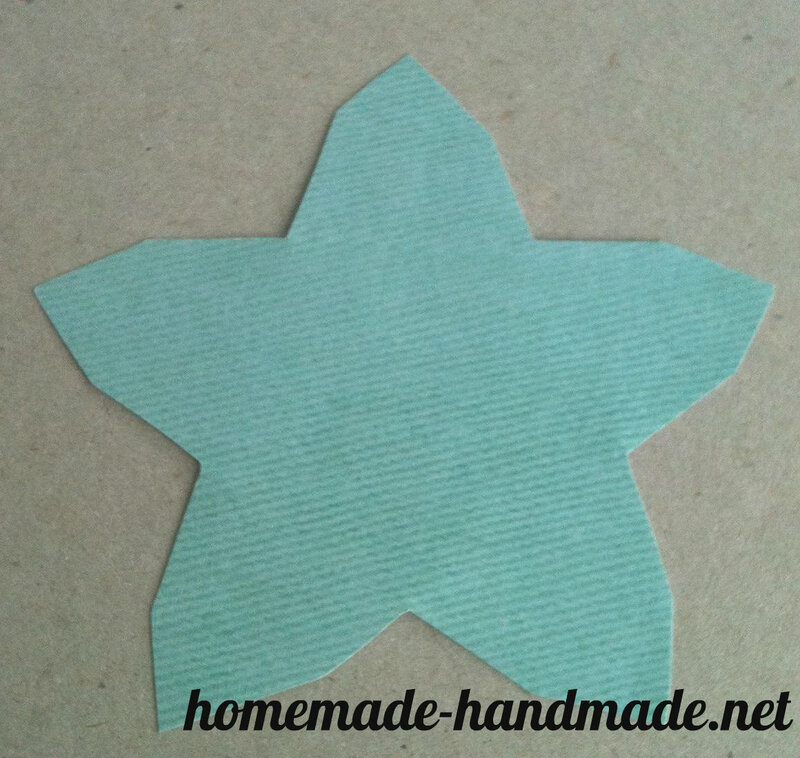 When the glue is dry, gently pop the stars back into their 3D shape, and add glue along two more edges. Be more gentle as you press these edges together—the more edges that are glued, the more difficult it is to pop the star back into shape. 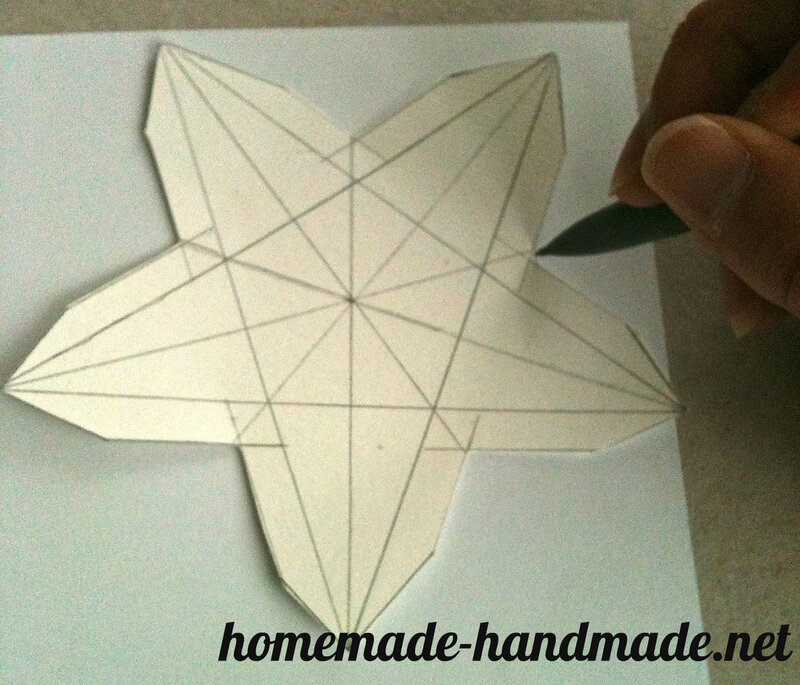 Glue the final edges together and gently press together–by this time, the shape of the star itself should help hold it together. 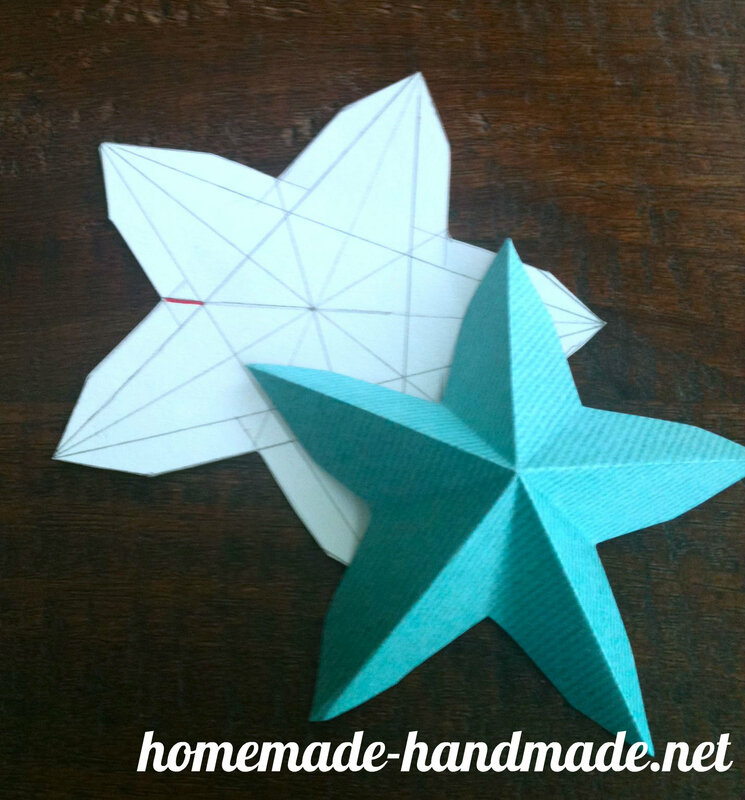 As you create more stars, you’ll get better at folding evenly, and you’ll discover your own technique for gluing. Have you ever made something cool just to prove you could?